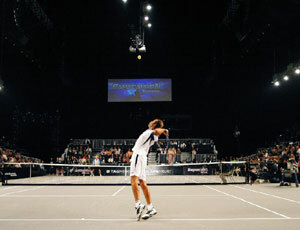 Superset Tennis has now hit two of the World's continents, the United States and Europe. In Europe Superset featured in the UK at the Wembley Arena on Sunday 3rd of October. Read what the media said about Superset at Wembley. Championship point : Ancic wins. The Superset winner collects the prize. 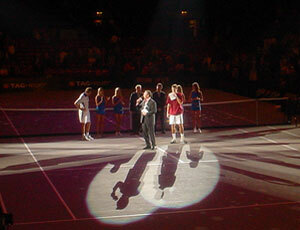 World Ventures have played a major part in making the Portland (US) and Wembley (UK) events a reality. Sixteen of the World's top players will battle it out in both tournaments to become the Superset Tennis champion of their respective event. For more information regarding these spectacles, go to www.superset.tv and open the door on a completely new experience of sport and entertainment. Be part of history, witness the future.........courtesy of, World Ventures! This site and its contents, unless cited. Last updated 1st February 2013.